Low-VOC Painting Contractor in Cape Coral, FL - Gafford Painting and Finishing Inc.
At Gafford Finishing and Painting in Cape Coral offers residents a variety of Low-VOC Paint alternatives that are priced competitively with standard products. Conventional paints are made from petrochemical-based solvents, which put off volatile organic compounds that smell funny. VOCs were once considered essential to the paint’s performance. An early leader in the zero VOC world, Eco Spec paints by Benjamin Moore have been used by some of the most respected green designers. 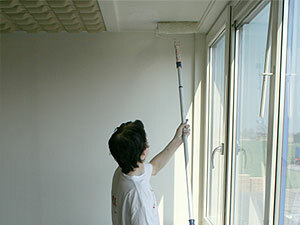 The acrylic-based paint is low odor and is popular with hospitals and other institutional clients. Completely VOC free, Harmony from Sherwin Williams is available in a wide range of textures, glosses and hues. Some colors are so natural they’re even made from safe and sustainable materials like soy and sunflower oil. Stop being a wallflower. Sherwin Williams’s Duration Home Interior Latex is specially formulated to be low in odor and volatile organic compounds. Best of all, the paint naturally resists mildew, and most stains wipe clean with mild soap and water. We use only high quality painting materials blended with our most innovative techniques and styles. With Gafford Finishing painters we will give your home a fresh, new, innovative, fashionable and sophisticated look – experience a new level of painting solutions. We are proud to offer all new clients considering our painting services a free consultation. At Gafford Finishing & Painting We Take the Pain out of Paint!